Maharashtra has been in the eye of the storm due to agrarian crisis and thousands of farmer suicides. More than 1,000 farmers committed suicide in eight districts across Marathwada during 2015 and the first three months of this year saw 400 more. Despite the state government's claim of having initiated several measures to curb farmers' suicide and improve the agriculture sector of the state, the situation has not improved much and the number sof suicides are constantly increasing. But, the ambitious Jalayukta Shivar (Farms with Water) scheme, implemented across the state over last one-and-half years, seems to be giving the farmers some hope. The scheme has been encouraging as the rivers and streams in many parts of Marathwada had ample water during and post monsoon this year. So much so that some rivers which did not have a single drop of water for almost five years, were flooded and some even rose above the danger mark. However, just a plentiful monsoon could not help the farmers much as there is a lack of agriculture infrastructure to boost productivity. Low productivity is the biggest hindrance for the farmers in Maharashtra. To overcome the hurdle, state government has decided to promote group farming along with water and moisture conservation projects. Chief Minister Devendra Fadnavis announced the group farming concept in the House during the ongoing winter session of the State Legislative Assembly in Nagpur on Friday. Reacting to the perennial demand of increasing Minimum Support Price (MSP) for cash crops in Maharashtra, Fadnavis said, "Increasing MSP in Maharashtra is not the solution to the agrarian crisis. On the contrary, it will harm the farmers since there will be disparity in the MSPs of Maharashtra and other states producing same crop. Instead of increasing MSP, which is calculated on the basis of gross national production of a particular crop, we need to concentrate on enhancing agriculture infrastructure." 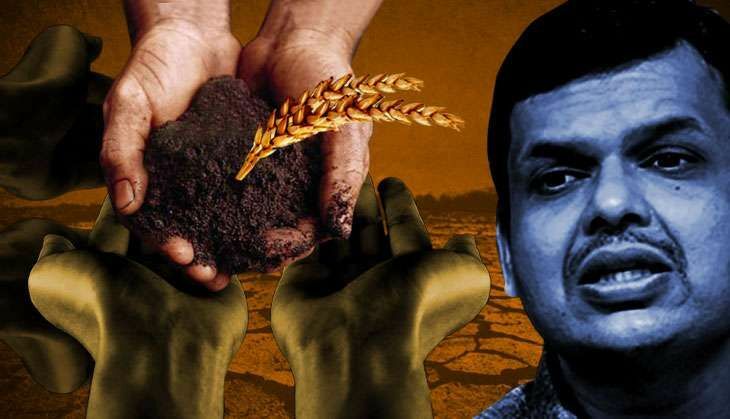 Blaming matters on liberalisation and globalisation, Fadnavis said the agrarian crisis started brewing post 1992. With growing families, agricultural land continued to be divided among the members. The fragmentation of agricultural land left majority of farmers with miniscule land holdings and as a result, they could not afford agricultural infrastructure such as tractors and cultivators. Given the poor financial condition of small farmers in Maharashtra, the state government decided to promote group farming. "The project envisages aggregation of land belonging to 20 farmers so that the agriculture infrastructure such as tractors, cultivators, threshers can be provided to them. Which a single farmer cannot afford today," Fadnavis said. Maharashtra is among bottom five states when it comes to agricultural productivity, except for sugarcane. "The recommendations of Swaminathan Commission cannot be applied to Maharashtra in total. The commission has recommended that MSP should be more than 50% of the production cost. Due to low productivity, this cannot be applied to Maharashtra. Gujarat produces double the amount cotton than Maharashtra does. To overcome the hurdle, we must concentrate on increasing agricultural productivity," Fadnavis said. Till now, the successive governments only issued crop loans. No one gave a thought to enhancing agricultural infrastructure. It is time to invest in agricultural infrastructure, he said. "The farmers with low land holding face several infrastructure issues including shortage of agricultural labours. They prefer to go on EGS works but not the agricultural farms. If farmers come together and create an aggregated land bank of 100 acres, they can share the agricultural infrastructures and farm equipments on hire and purchase basis. It will also be logistically feasible to converge all the agricultural schemes for groups of farmers," he said. The entire region of Marathwada and Vidarbha, which is worst hit by farmer suicides, has non-irrigated land. This is the major cause of low productivity. "The major drawback of the non irrigated agriculture is that farmers depend on a single crop which again is solely dependent on monsoon. Out of total 55% people dependant on agriculture, 20% need to be shifted to allied businesses with value addition." "We also aim to develop skill in the agriculture sector. For this the Annasaheb Patil Financial Development Corporation, which was almost defunct for last eight years, will be revived soon. The fund of Rs 200 crore has been sanctioned to the corporation so that it can assist farmers with infrastructure and skill development in agriculture sector," Fadnavis said.